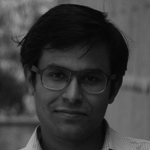 Pratik Datta is a researcher with the National Institute of Public Finance and Policy (NIPFP) in New Delhi. After obtaining his BA LLB (Hons) from NUJS, Pratik had been a law clerk to the Supreme Court of India and subsequently, practiced as a litigation lawyer in Delhi focusing primarily on insurance matters. He has advised the Government of India as well as various expert committees on bankruptcy reforms, international capital markets, foreign direct investment, external commercial borrowings, tribunal reforms etc. Recently, he served as a member of the technical team to the Watal Committee on digital payments.